Looking for a quick and easy breakfast idea? Molletes are the answer. They are fast, simple and delicious. 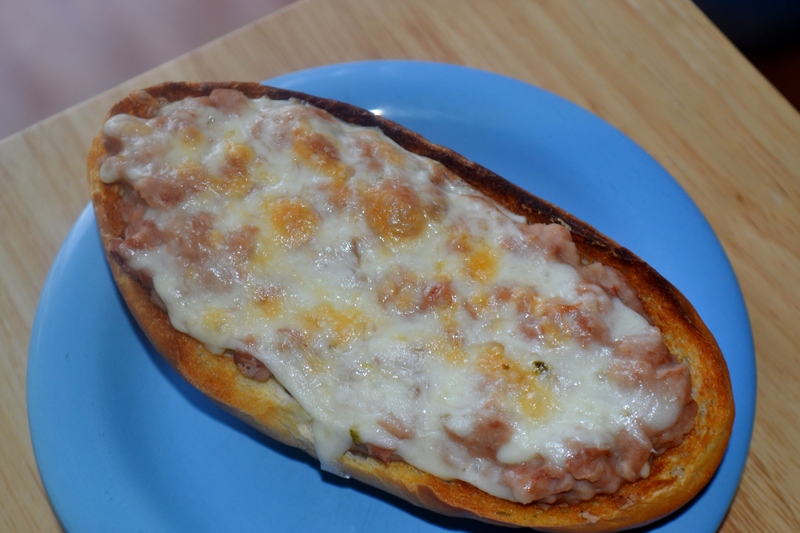 You are basically looking at bread, beans, cheese and salsa heated through to make one scrumptious and portable meal. Yes, breakfast (or lunch or dinner or snack time) can be this easy. 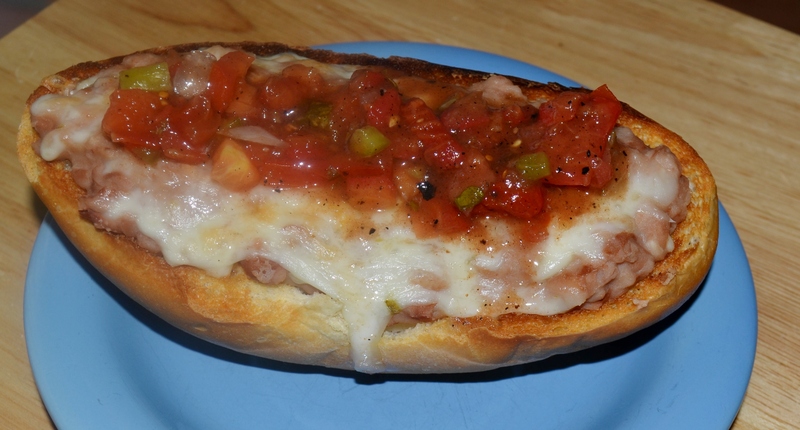 Slice a roll in half, slather some garlicky beans, top with cheese, watch it become gooey then spoon some salsa on top. Pretty easy! Yum, yum, yum, yum, yum. Heat oil on low heat in a small saucepan or sauté pan. Add garlic, cumin and chile flakes. Stir gently for 5-10 minutes or until garlic is soft and fragrant. Add beans and heat through. 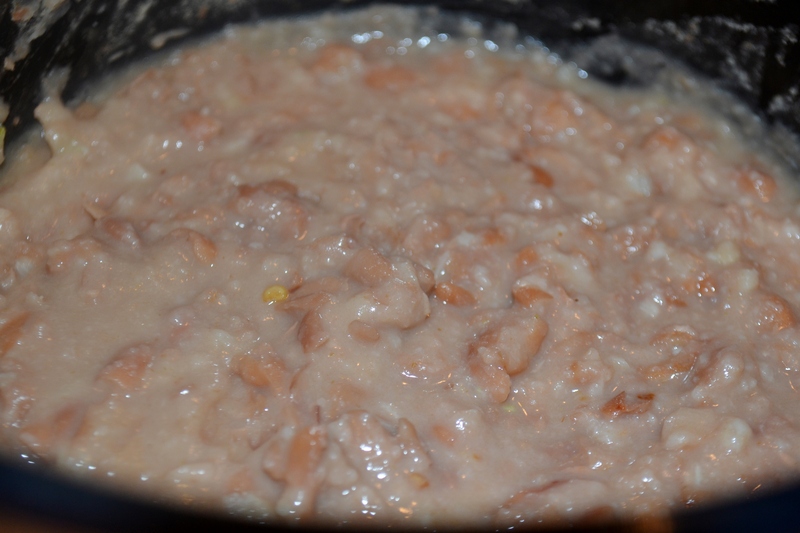 Mash beans to create a slightly chunky texture. Slice rolls lengthwise and slather with butter. 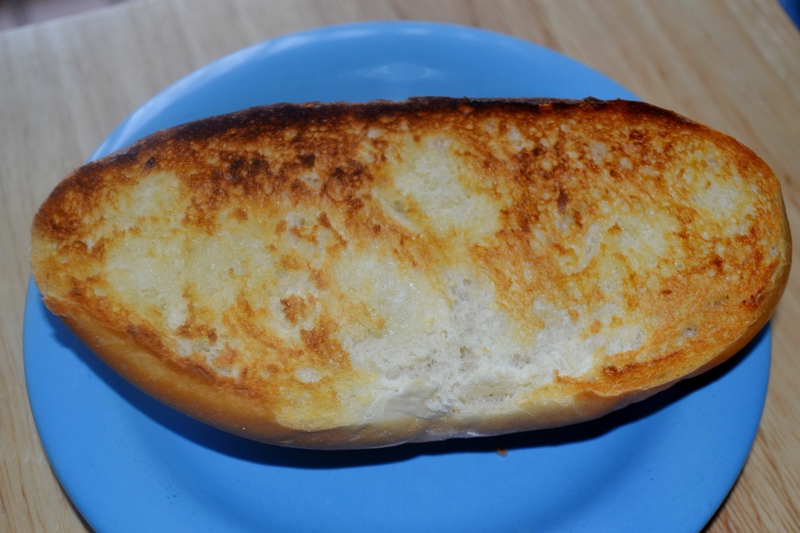 Place on griddle or in toaster oven until rolls are golden brown. Top rolls with beans and shredded cheese and place under broiler until cheese is nice and bubbly. Serve open faced with salsa.